1777: In the throes of the Revolutionary War, Landon Mansion is commandeered by British Lord “Butcher” Bedford. He stabs Lucy Tarleton — who spurned his king and his love — leaving her to die in her father’s arms. Now: After the day’s final tour, docent Allison Leigh makes her rounds while locking up…and finds a colleague slumped over Bedford’s desk, impaled on his own replica bayonet. Resident ghosts may be the stock-in-trade of stately Philadelphia homes, but Allison — a noted historian — is indignant at the prospect of “ghost hunters” investigating this apparent murder. Agent Tyler Montague knows his hauntings and his history. 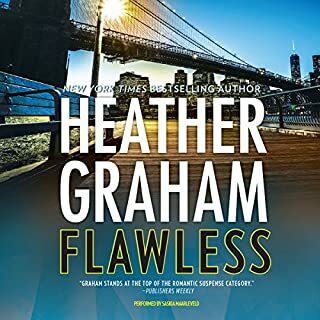 But while Allison is skeptical of the newcomer, a second mysterious murder occurs. Has “Butcher” Bedford resurfaced? Or is there another malevolent force at work in Landon Mansion? 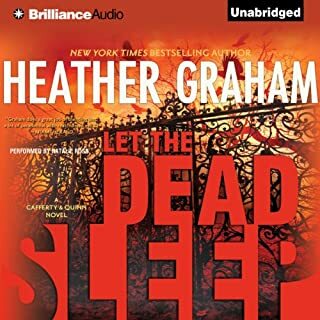 Wary, yet deeply attracted, Allison has to trust in Tyler and work with him to discover just what uninvited guest — dead or alive — has taken over the house. Or their lives could become history! 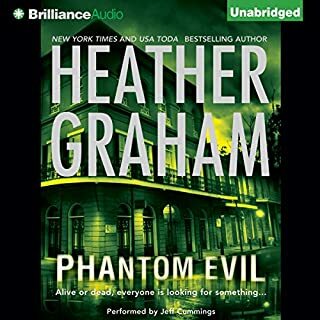 ©2012 Heather Graham (P)2012 Brilliance Audio, Inc.
A fun romp through a bit of early American history where a few ancestors and someone recently deceased seem to have good reasons to be angry ghosts in this day and age, the question is....are they? I guess that depends on who's looking.and what they are seeing. 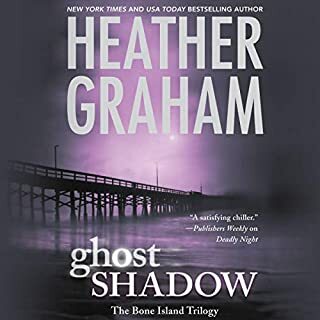 A few ghosts mixed with friends, strangers, romance and mayhem make this a lighthearted book to hear. This is a part of a series and I plan to read the other books in the series. I listened to the book while traveling and enjoyed the trip thoroughly. Loved the story, the narrator is great! I would recommend to my friends to listen do! the story was another great read. the Krewe of Hunters are awesome. The added history is great too. i usually don't like male readers but this was amazing! keep up the great work!! Good story, Great Narration, entertaining! Fun to listen too, but not the best she's done. It was worth the time. tbe voices are. better in this one. hopefully they continue to improve. I've enjoyed this immensely. Great characters and well researched. I love the history tied into this series. I loved this book. The series is so addicting. You get so involved in all the characters you want to be there friends. This is a solid addition to the Krewe series, probably my favorite so far. 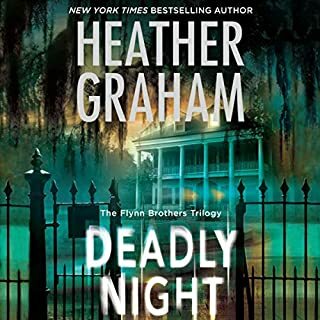 The story is what you expect- haunted building, people being killed, someone who doesn't believe in ghosts who needs help and a Krewe agent who can help. Plus a love story. It's suspenseful and funny. I can't say enough good things about Luke Daniels. He does a nice job and he gets better and better the further into the series you go. 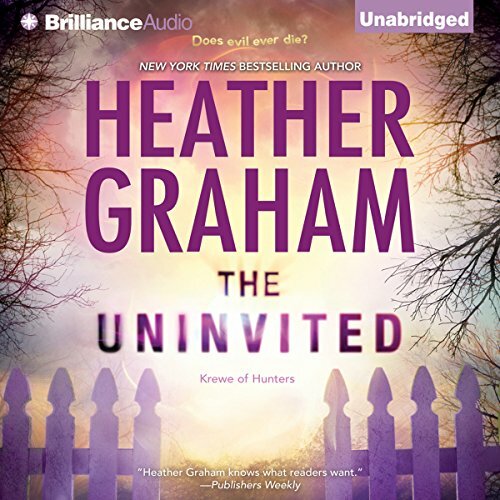 If you could sum up The Uninvited in three words, what would they be? What about Luke Daniels’s performance did you like? Even though I felt these books should be narrated by a woman, Luke really does a good job with all the characters in the story. 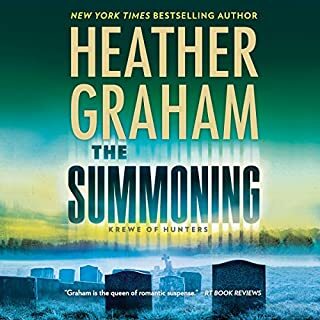 I just really enjoy the "light reads" Heather Graham's stories are. They make my commute to and from work much more enjoyable.